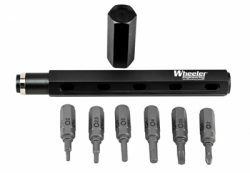 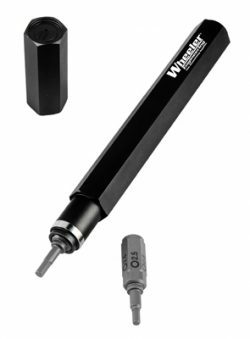 Have the bits you need, on hand, with the Wheeler Multi-Driver Tool Pen. 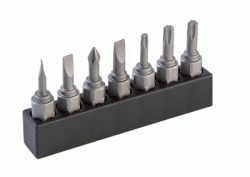 Its convenient shape fits comfortably in your hand and is equipped to hold 6 of your most used bits. 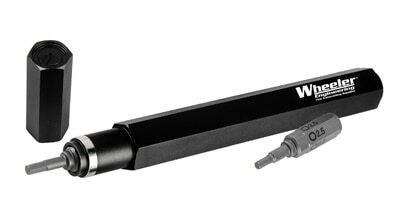 The aluminum constructed handle keeps the bits internally and can be changed quickly, by simply pulling the bit out of the exposed end and pushing it through the top of the handle. This tool also comes with a bit holder to conveniently store up to 7 unused bits.